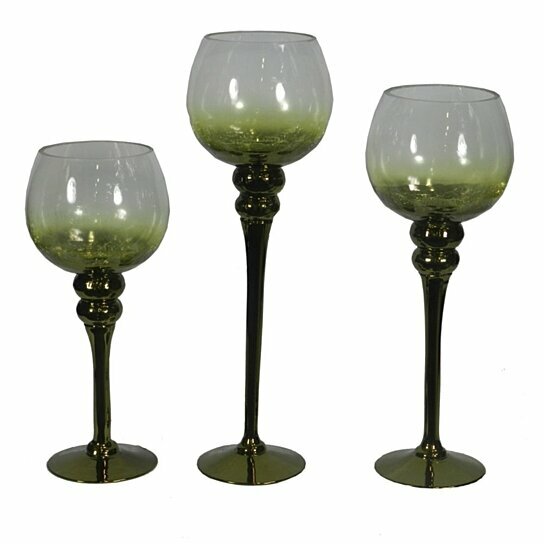 This attractive set of three candleholders, will certainly add a spark to any table decor. The entire set is made from glass that is of good quality. Each of the holders is crafted in bowl shape featuring vibrant green shade. The attractive shape and artistic stand at the bottom makes this set more alluring. It will add beauty to your celebration and spread warmth. These candleholders will get along with range of home interior. Also, these are easy to clean and maintain. Tea light candles will look stunning in these candleholders.